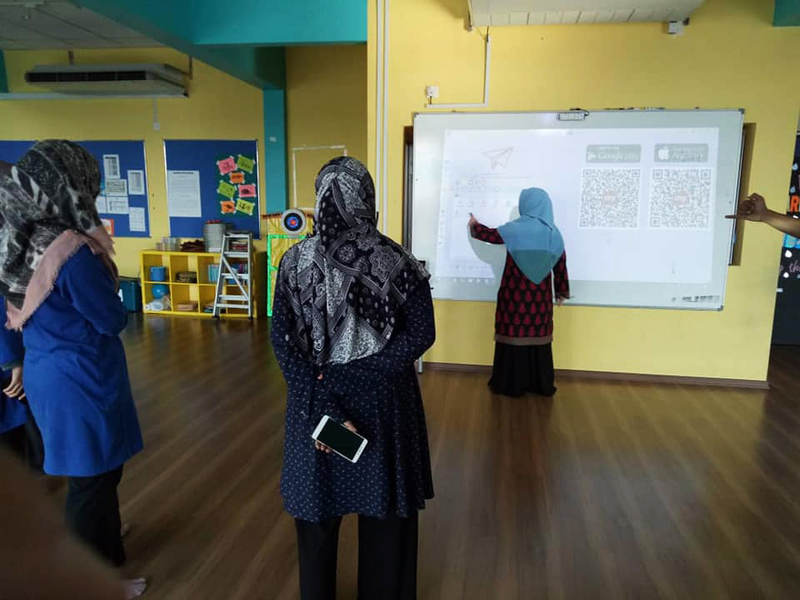 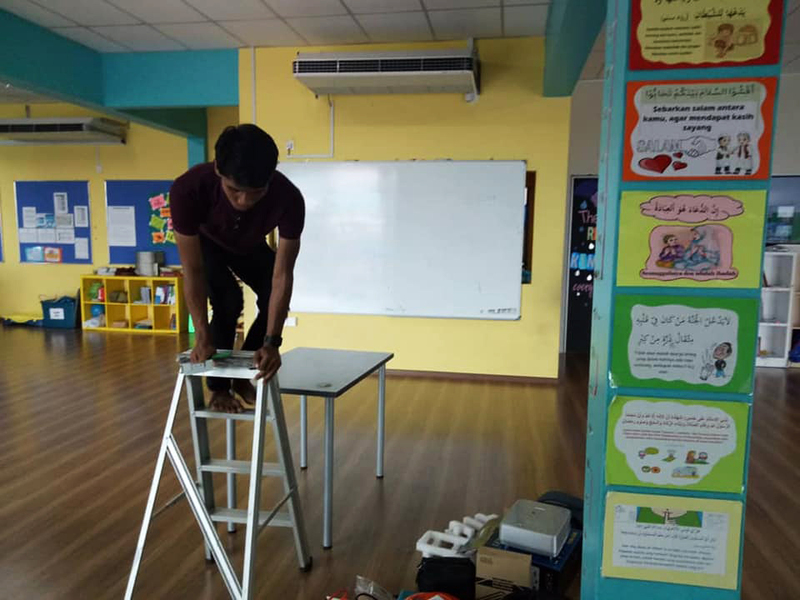 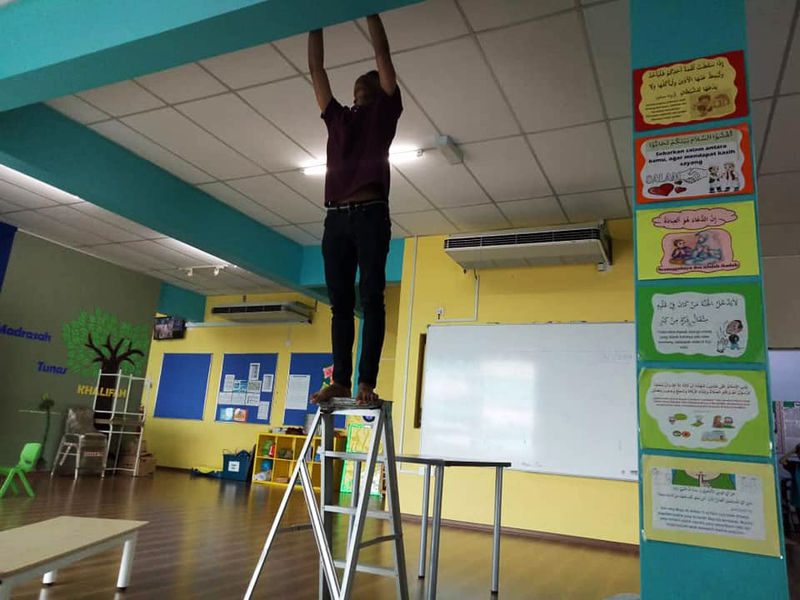 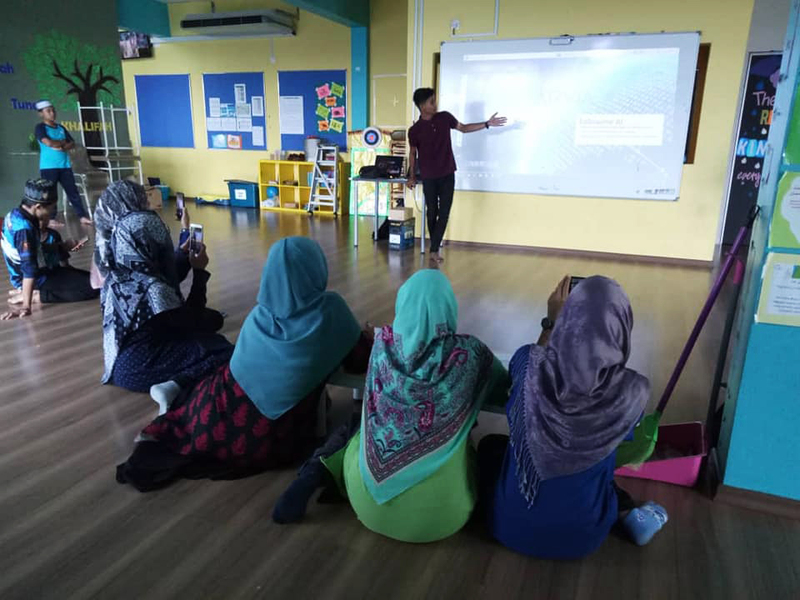 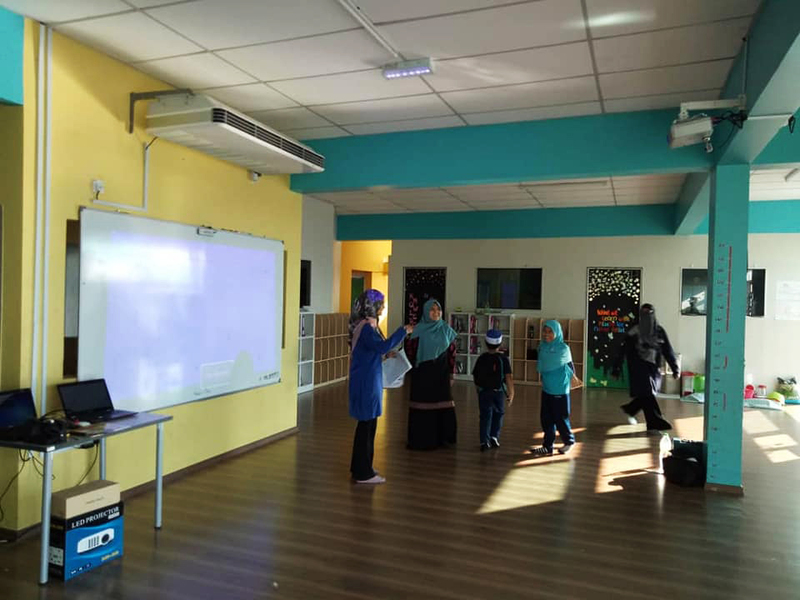 Thank you Madrasah Tunas Khalifah, Johor Bharu for choosing Arvia Interactive Whiteboard from Israk Solutions Sdn Bhd as new modern way of teaching and learning. 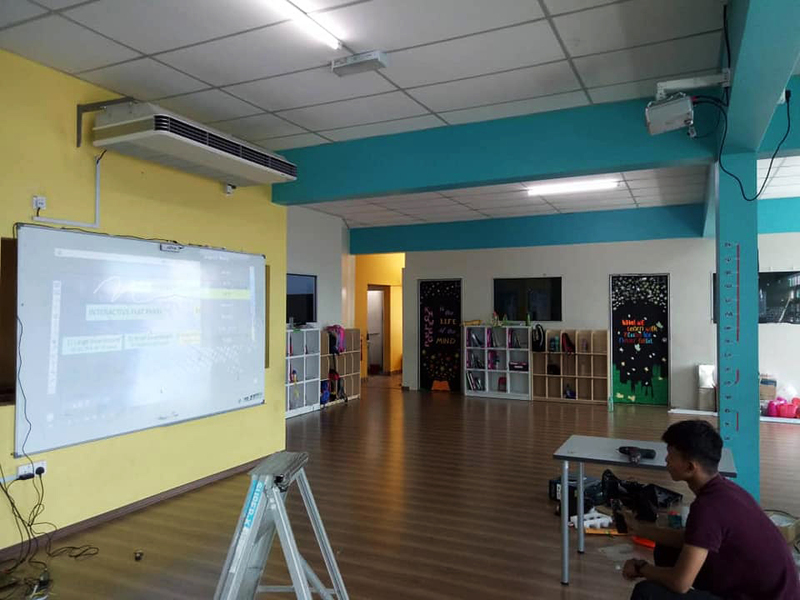 Arvia Interactive Whiteboard comes with two parts: emitter and sensor. 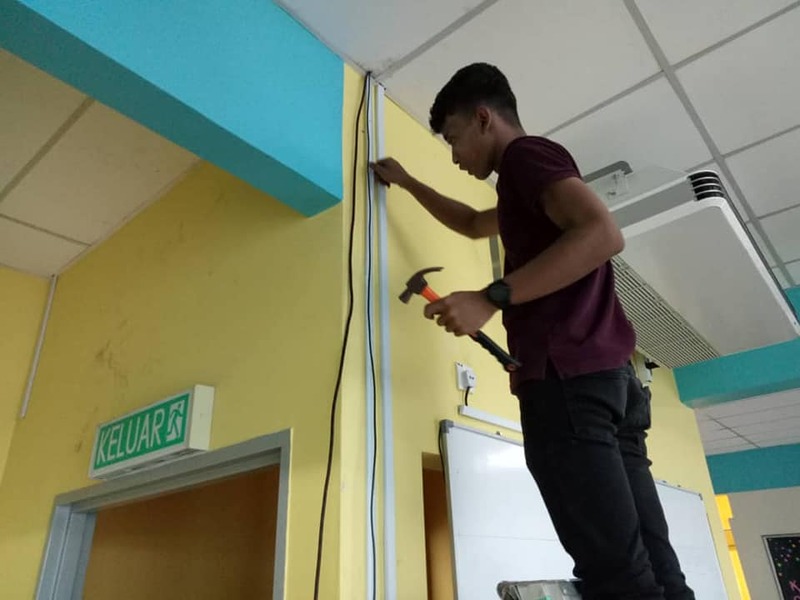 Emitter can be attached on flat surface. 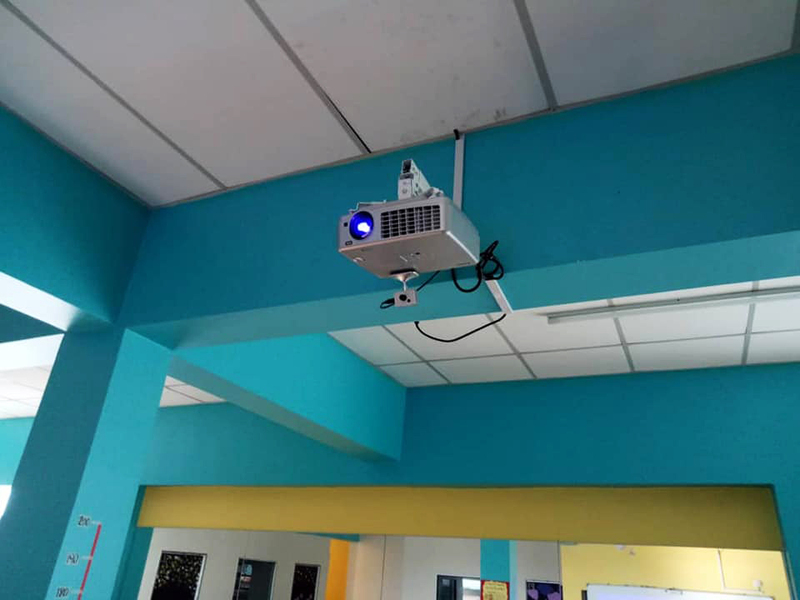 It emits infrared laser curtain on the surface which is about 1mm thick invisible light and parallel with the projection screen surface, 1-2mm above the screen surface. 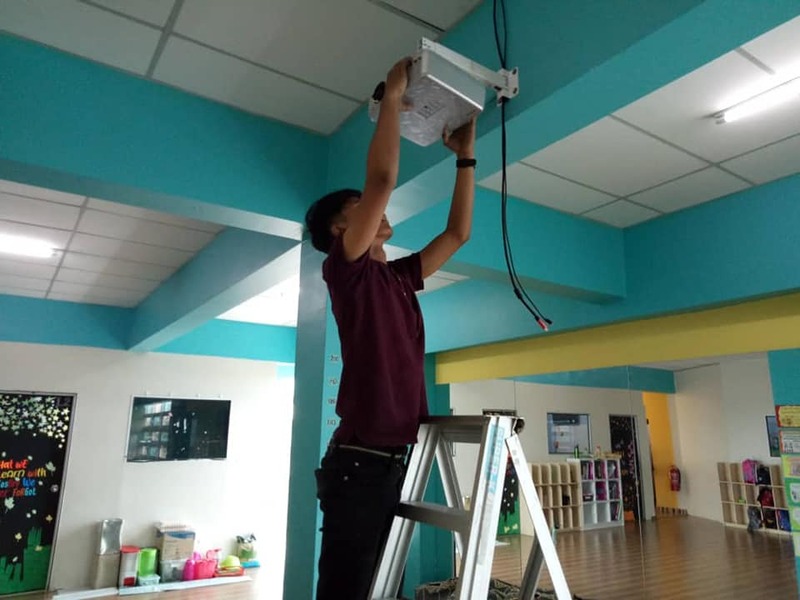 When the finger or any non-transparent object touch this virtual surface, the light will be reflected and detected by the sensor. 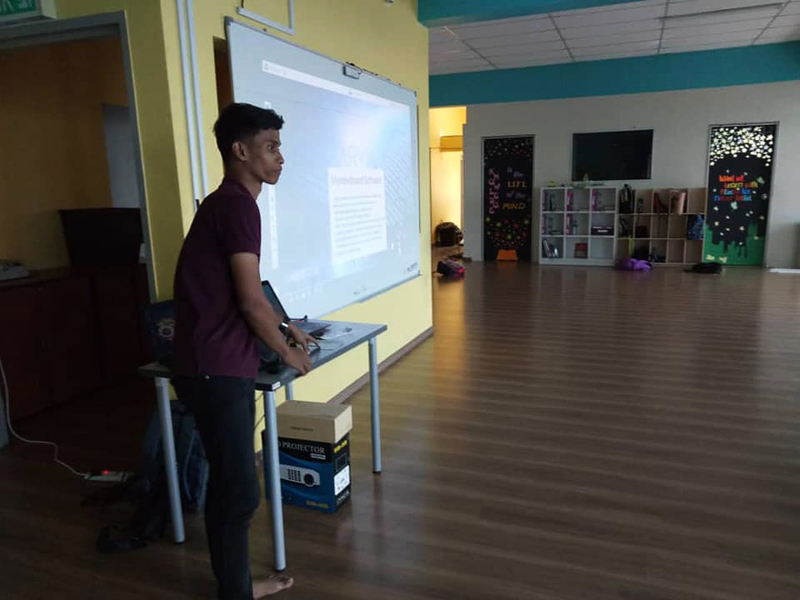 The computer will figure out the position of the mouse by accurate calculating the reflected light position.